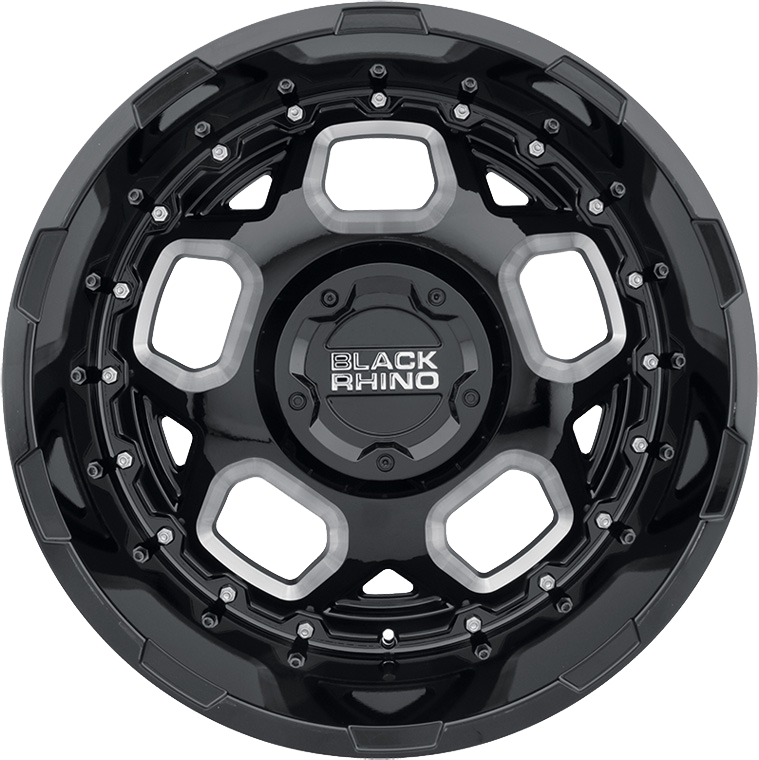 Black Rhino Gusset offers a true deep lip design for on and off-road 4x4 and SUVs. Black Rhino Gusset offers a true deep lip design for on and off-road 4x4 and SUVs. Gusset is a perfect hybrid blend of on and off-road styling featuring deep recessed grooves along the lip with mechanically fashioned stainless-steel bolts. The face is a created out of a harmonically balanced 5-sided pattern cut into hexagonal pockets. Gussets unique centre cap protects and covers all PCD patterns allowing for a range of patterns such as 5x127, 5x139.7, 6x135, 6x139.7, 8x165, 8x170, 8x180.